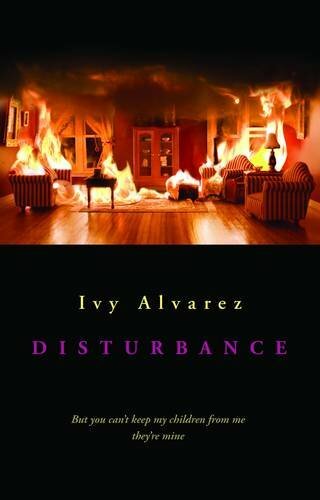 Disturbance is a precisely constructed, unflinchingly observant, heartbreaking and terrifying novel of poems, a powerfully delivered and devastating firestorm of words. It portrays the build-up to and fallout from the murderous and suicidal conclusion to family life. This family has been bruised by domestic abuse, broken by divorce and ultimately obliterated by the words ‘you can’t keep my children from me… they’re mine’. Within this ‘verse novel’, Alvarez shows admirable artistic control and a remarkable capacity for empathy. She has crafted a range of voices that, even in the briefest of appearances, reveal another facet of the wider narrative and another example of just how far the hurtful consequences of terrible acts can travel. Telling the story in verse form creates just enough distance to prevent Disturbance becoming too emotionally overwhelming to read. This method also reveals a terrible beauty within the blackest shadows of human experience.